Could an electronic “potato” rescue Africa from poorly developed and expensive communications infrastructure? Steve Song, telecommunications fellow at the Shuttleworth Foundation, thinks it could go a long way in helping. Song is involved in a project that is developing an innovative open-source project called the Mesh Potato, a sub-US$100 device that he says will bring cheap communications access to the continent. 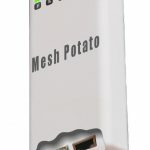 The Mesh Potato uses open hardware used to create a Wi-Fi access point that also carries a telephone connection. The devices connect to each other, creating a mesh network, a kind of mini telephone network that can be deployed cheaply in rural Africa. The Shuttleworth Foundation is backing the initial development of the hardware design and firmware. 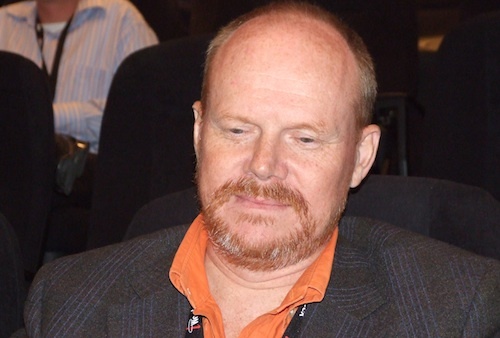 The African regulatory environment has long been the biggest obstacle to telecoms development and Song says this has stifled what little innovation there has been. The Mesh Potato circumvents the regulatory bottlenecks as there is no charge to set up and run the mini network. “If you are non-profit organisation, you can generally operate the networks legally as long as you not charging for services,” Song says. Charging for the service in SA would mean having to apply for an electronic communications licence. The mini network can connect to national telephone networks using voice-over-Internet Protocol services. The system has been designed to weather the harsh environments of the continent and Song says each unit has a 400m range in open spaces. “In more urban environments, they will have a shorter range because of building interference,” Song says. He says Village Telco, the group developing the device, is working on a device with better range, using an upgraded version of the Wi-Fi standard. Song says it’s critical for Africa’s development that communications infrastructure gains more widespread traction on the continent. He says it’s as fundamental to a modern economy as clean drinking water, he says. Song, who was speaking at the Tech4Africa conference in Johannesburg on Thursday morning, says access to broadband Internet access could address many of the social troubles plaguing Africa. The continent has been falling behind in the provision of Internet access, with politicians focused on bringing services as basic as schooling and access to drinking water to citizens. C)even if that house is in a high risk malaria area, your chances of getting bitten will be smaller as you will be more liekly to use pesticides, or products that keep mosquitoes away from you. So Mr Song, what you have done, is taken a fact that rich people who live in areas with telecoms infrastructure get malaria less often than poor people who live in the bush, and made it sound like telecommunications can cure/prevent malaria. Rolling out a telco network to a village in the middle of nowhere will do little/nothing to curb the spread of malaria, or even uplift the people of said village, unless you tie your project in with something that actually can help those people build a sustainable existence. That said (please forgive the typos and bad grammar) I have been following the mesh potato project for some time now and I think it is a pretty awesome idea! @Rob the way I read it, Mr Song quoted research that made the correlation, he didn’t make the correlation himself. What you’re after is a URL to the research, I think. You’ve just shot the messenger. I can see the logic in the statement, though – it doesn’t take a genius to realise that ready access to giant amounts of knowledge via modern communication will help – from finding out what sickness someone has, to where the nearest facility is that can treat it. I just assumed malaria was being used as an example as it seems to be the #1 killer in Africa. Telecommunication doesn’t prevent malaria. Knowledge does. And I don’t think one can argue that there’s no better way to spread knowledge than via better communication! I applaud the contribution of Mr. Rowe and The Shuttleworth Foundation’s support of his work. Damage based on ignorance and miss-comunication spans known human history; and is at an epoch right now. We need only look back a few decades to behold the positive results when individuals gain access to accurate information. As a young adult could you comprehend a unified Germany? I could no more envision this outcome than predict a Mcartney concert in Red Square. Is there any question as to why this positive outcome ocurred? I predict a simple project called the ‘Mesh Potato” will cause a paradigm shift in what was once the Telecommunication industry. Those who diminish the value of gracious acts of charity for all humanity by debating one possible benefit, do not understand. Scope and breadth of impact is on-par with industrial age advancements. I hold 30-years experience in software design, communication and most recently 999986% reliable hosted VoIP provider (sold in ’07). My respect and admiration goes out to all who seek to make this a better world.